Since the continuous coconut shell charcoal making machine has a specific standard for the raw material, so we can provide you with the crusher and dryer to process the coconut shell to reach the standard. The dryer can dry the raw material, and make the water content of the raw material is below 20%. The crusher aims to process the raw material under 50 mm. Then the standardized raw material will be put into the carbonization host, which is pre-heated by the fuel for 30 minutes. During the working process, it is certain that the combustible gas will be produced, and it will be firstly purified by the purification system, and then be processed by the condenser, which can deposit the tar and wood vinegar. Then the combustible gas will go through the draft fan, and heat the carbonization host. You will get coconut shell charcoal automatically after the cooling process. Charcoal from coconut shell machine has a wide use. Firstly, it can improve the soil quality. Secondly, it can be reprocessed into active carbon. 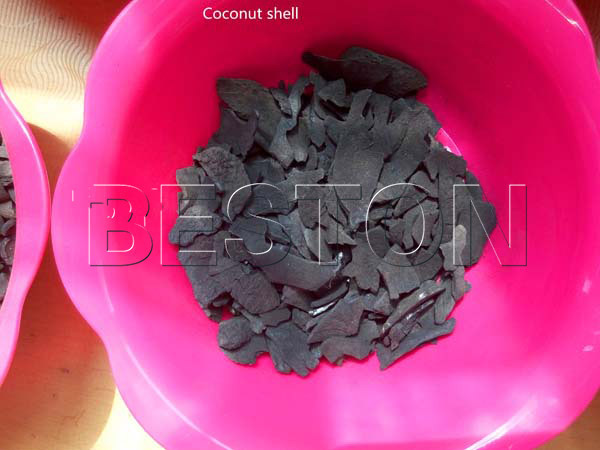 The coconut shell charcoal can be widely used in the smelting, chemical fields. Thirdly, it can be the fuel in BBQ and other industry. 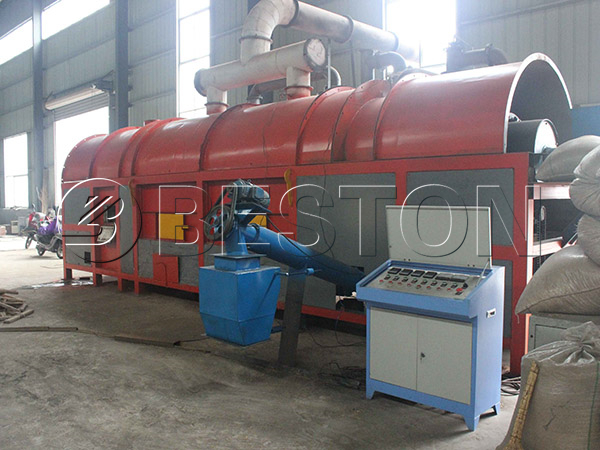 Through the wide usages of the coconut shell charcoal, we can know that investing a Beston coconut shell carbonization furnace is profitable, and the following features make Beston coconut shell carbonization machine much more competitive in the market. 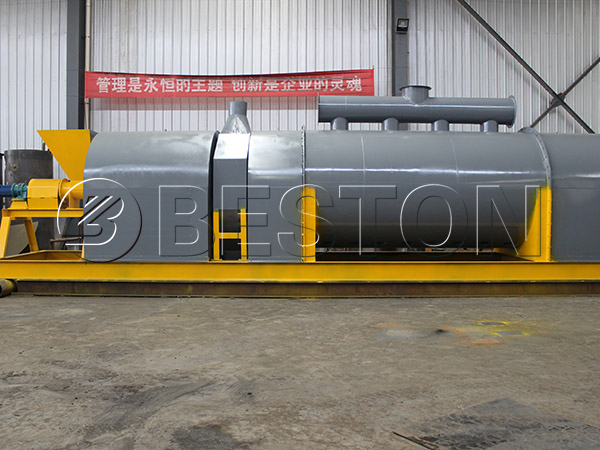 Thanks to the auto automatic feeding and discharging system, Beston coconut shell carbonization plant can work in a continuous way, thus the carbonization time is shorter, and the working efficiency is increased. 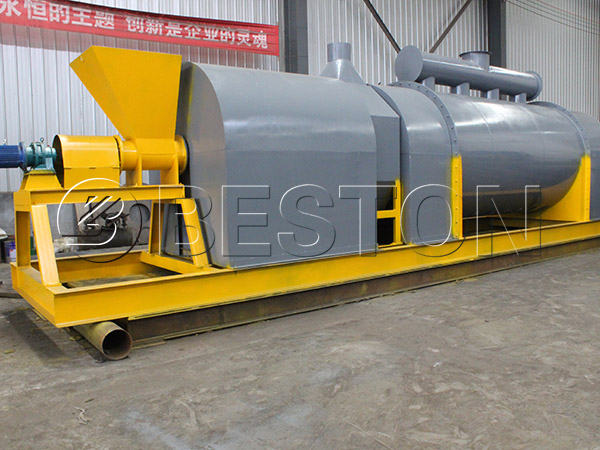 The models of Beston coconut shell carbonization machine are various basing on different capacities. 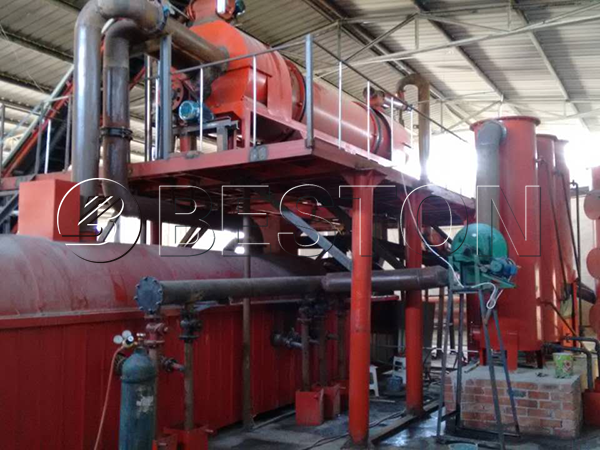 Our plant is equipped with the purification system, which includes the cyclone dust remover and spray dust collector. Using the purification system can purify the combustible gas and achieve the circulate combustion of the combustible gas. Protective layer, the temperature detection and the central control system can not only protect the safety of the machine, but can also protect the operators’ safety. Fifth, no harm to the operate. 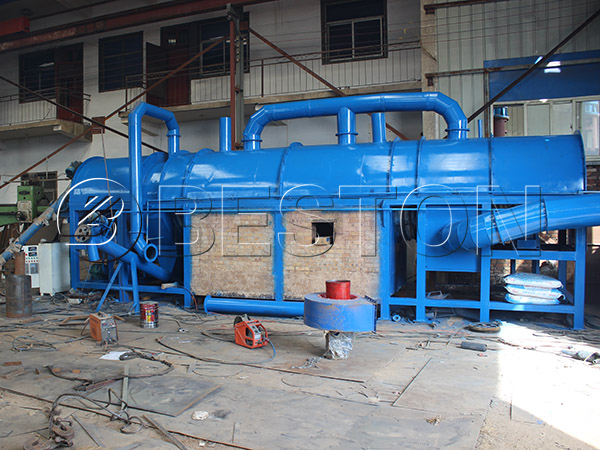 Cooling system can cool the temperature of the biomass charcoal down to 30 degrees, so the biomass charcoal will not ignite itself when discharging. The charcoal yield rate is about 4:1, which means that you can get 100 kg charcoal if you use 400 kg raw material. In addition, the charcoal yield rate can reach 3:1 if the quality of the raw material is good enough. 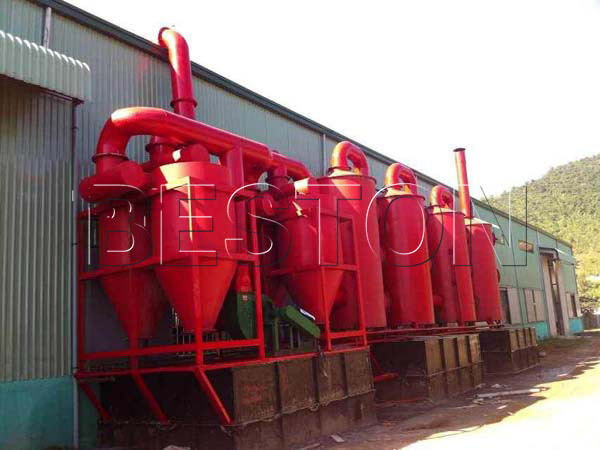 Having manufactured the biomass carbonizer machine for a long time, we have strong designers and engineers team to guarantee the quality of products, and we can also guarantee the after-sale service. 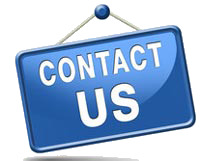 Leave your message here if you want to know more.